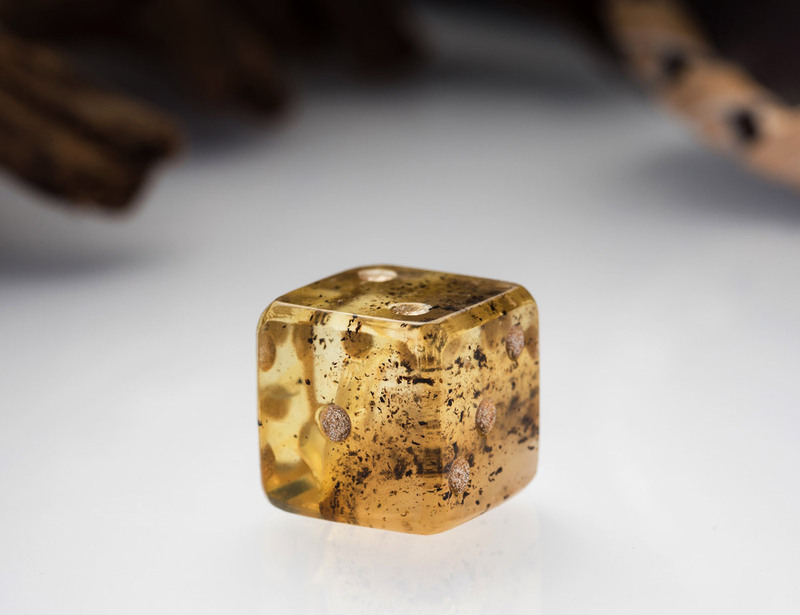 You can play your favorite games in style – with one of the world’s oldest gemstone dice. 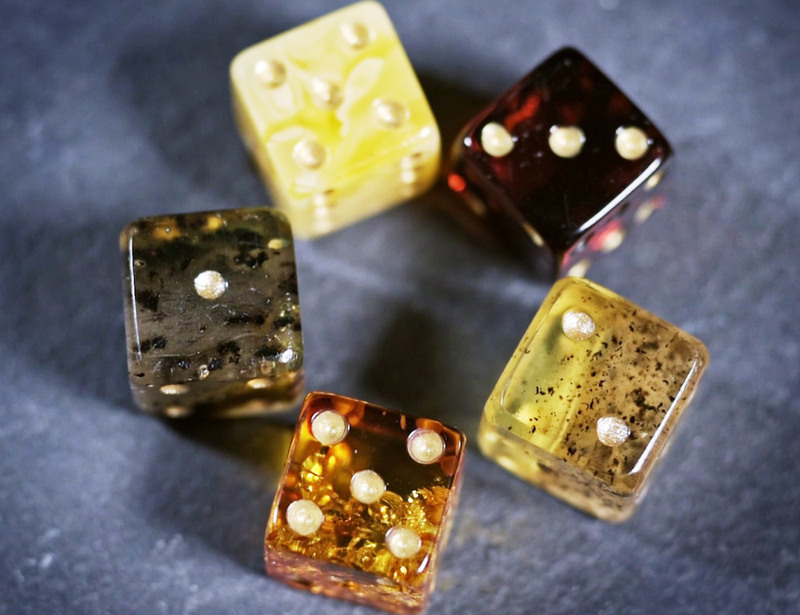 Monnarc dice are precisely handcrafted using very special & 100% original Amber Gem that originated in Nature many millions years ago. 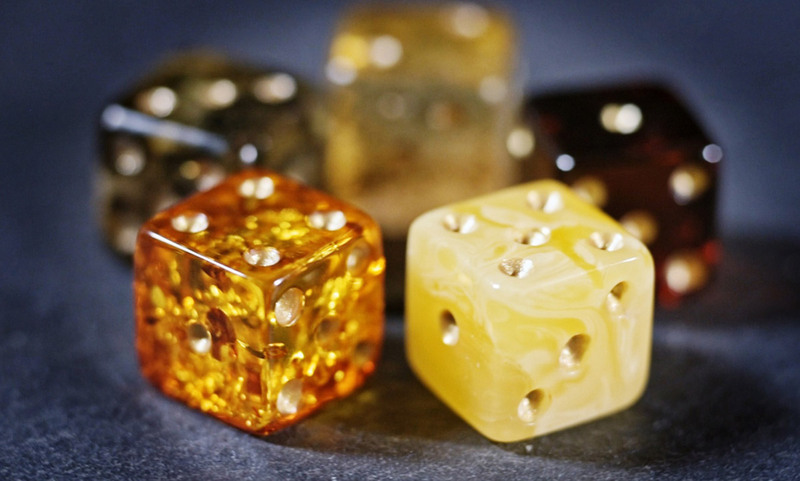 Monnarc Amber dice come in five color varieties. 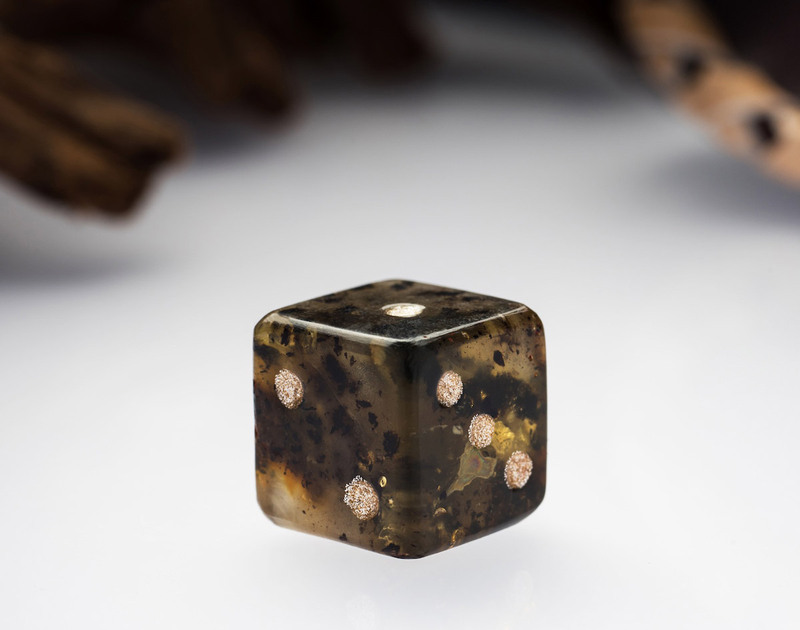 Likewise, each die gets its name after the 5 major mass extinctions that shaped life on earth. 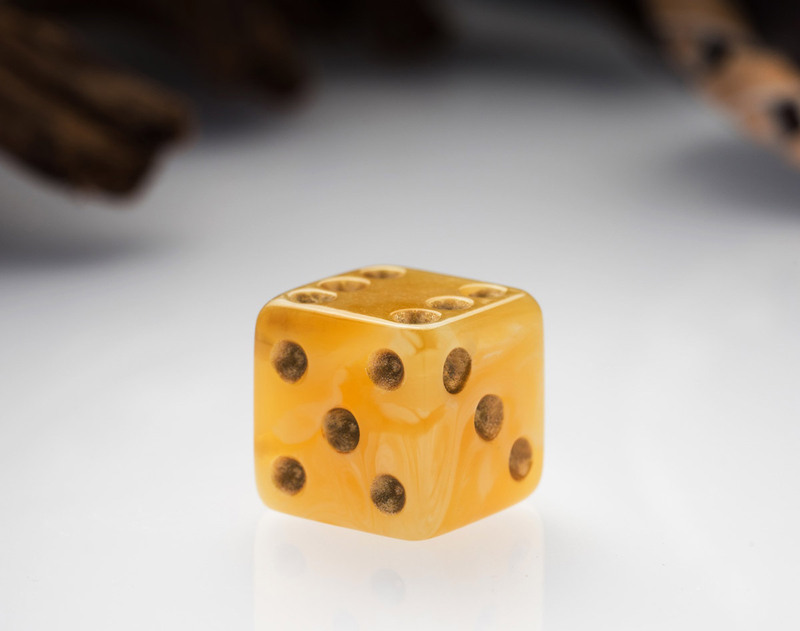 Aside from their special color, each die is unique and exceptional; no two are the same. 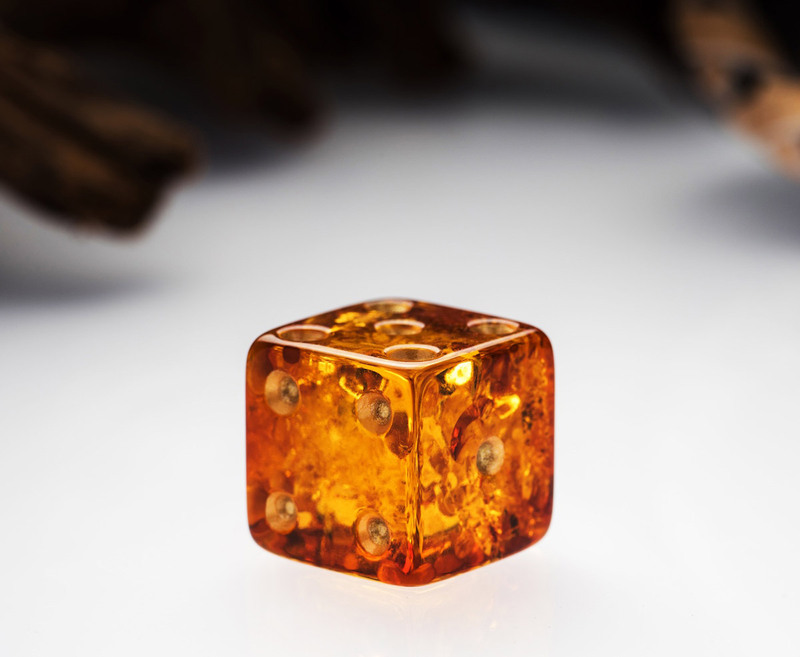 The recommendation is to use amber dice on softened surfaces for any table games in which you seek good fortune. 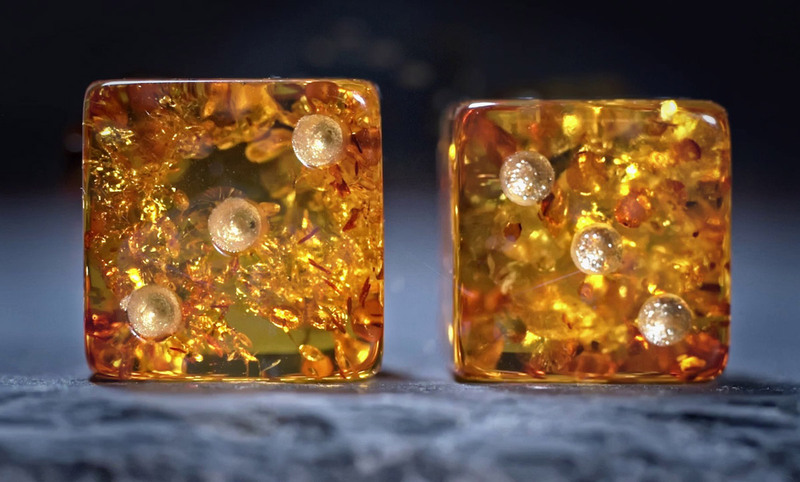 Also, you have to save and collect the dice, since the value of amber continues to rise up dramatically and thus Monnarc Amber dice can be good investment for future generations. 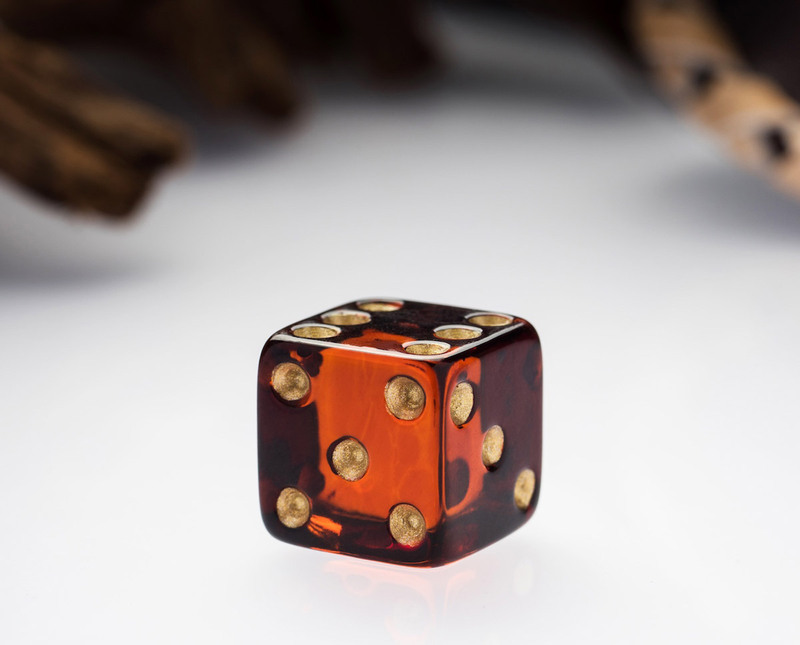 The dice come in two sizes. The small is 12mm in size while the medium is 14mm. 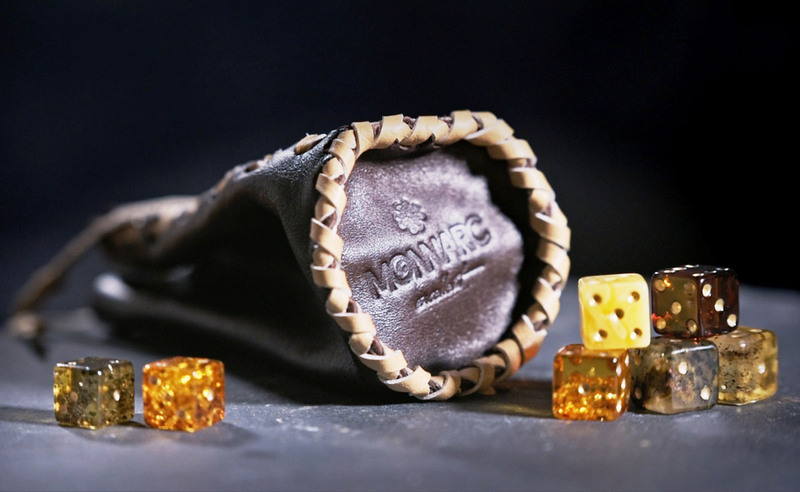 Finally, there is a special leather pocket bag for easy storage.